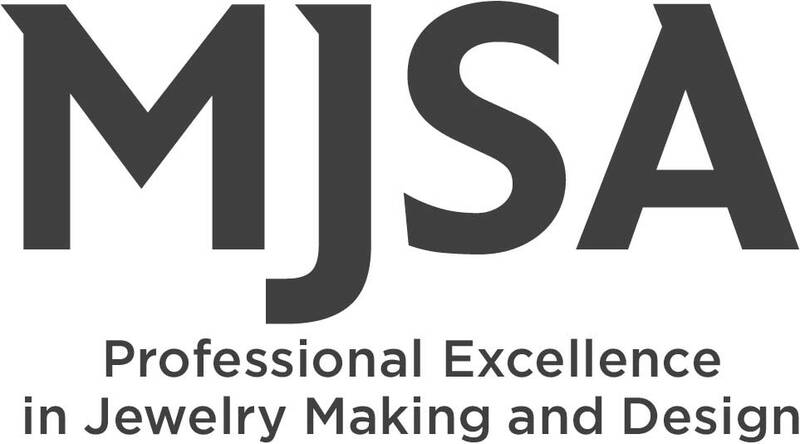 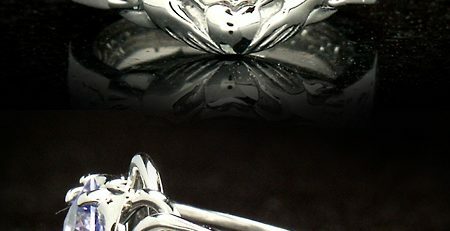 Our client was looking for a truly unique bridal set with a 3/4CT marquise emerald. 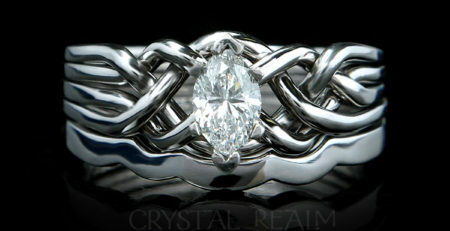 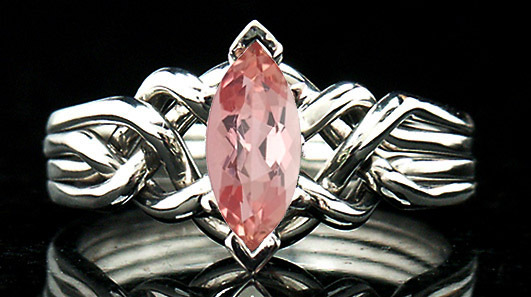 Our Celtic puzzle engagement ring with open weave fit his requirements perfectly. To that we added a custom-fit, five-diamond shadow wedding band. 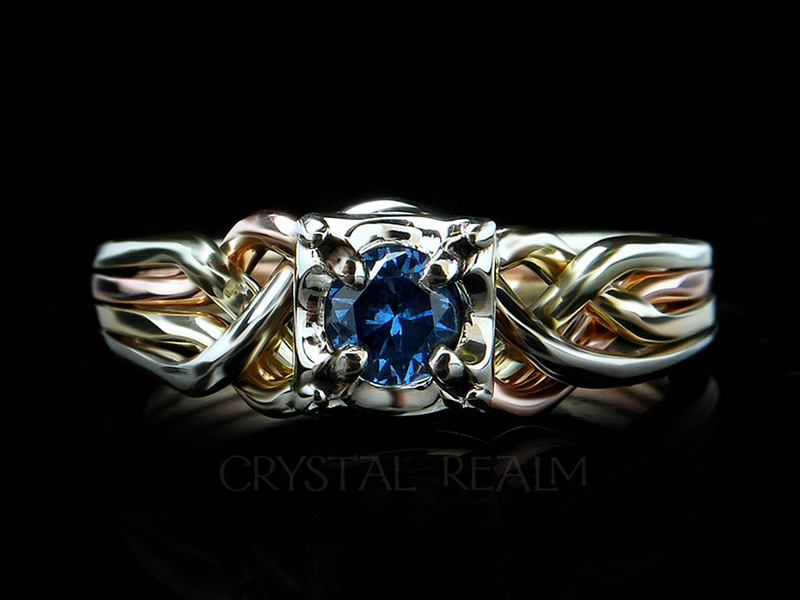 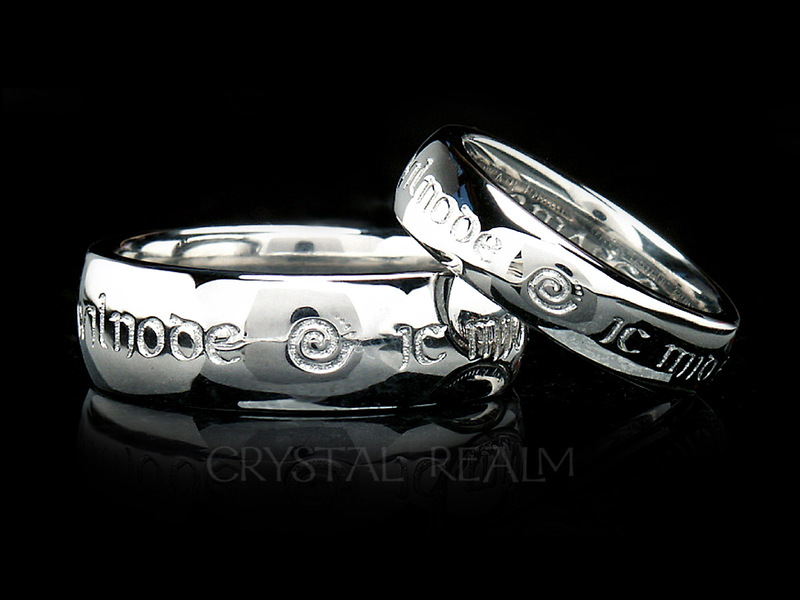 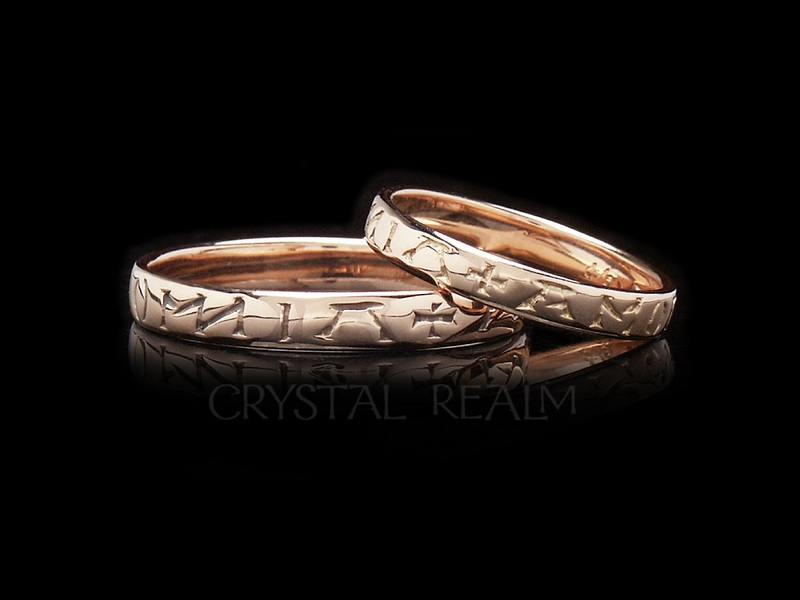 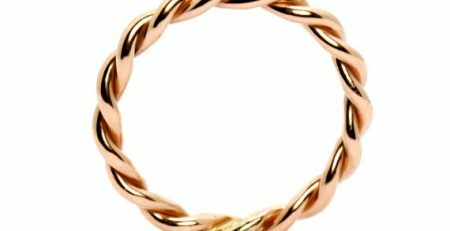 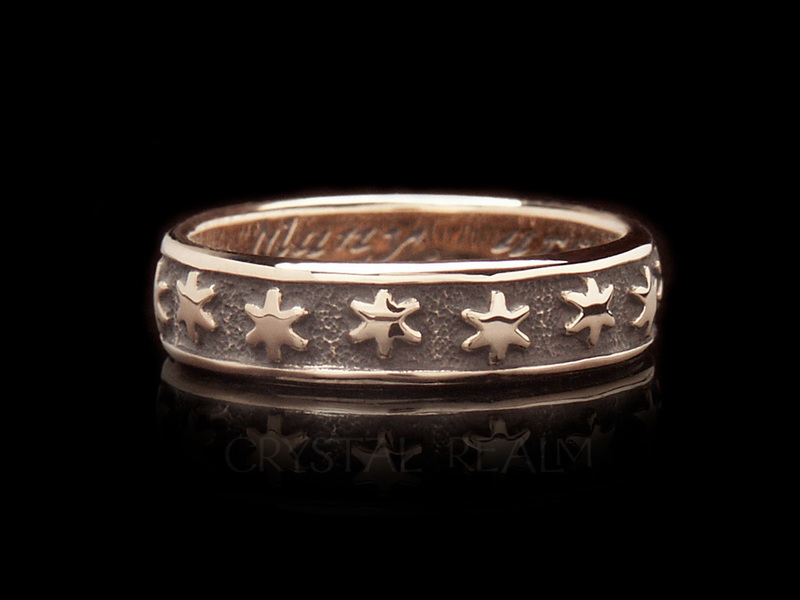 The eternal knotwork of a Celtic ring represents the linking and bonding that grows with your marriage: the intertwining of your lives and your love. 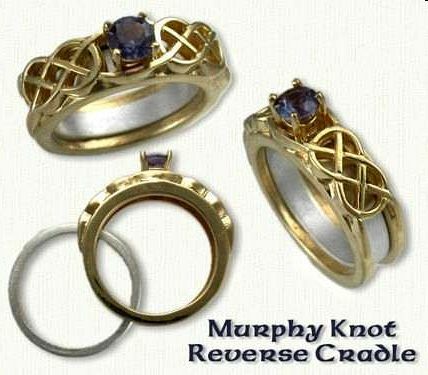 A genuine puzzle ring takes the knotwork to a new level of complexity, yet you can learn to take it apart and assemble it easily with our online videos. 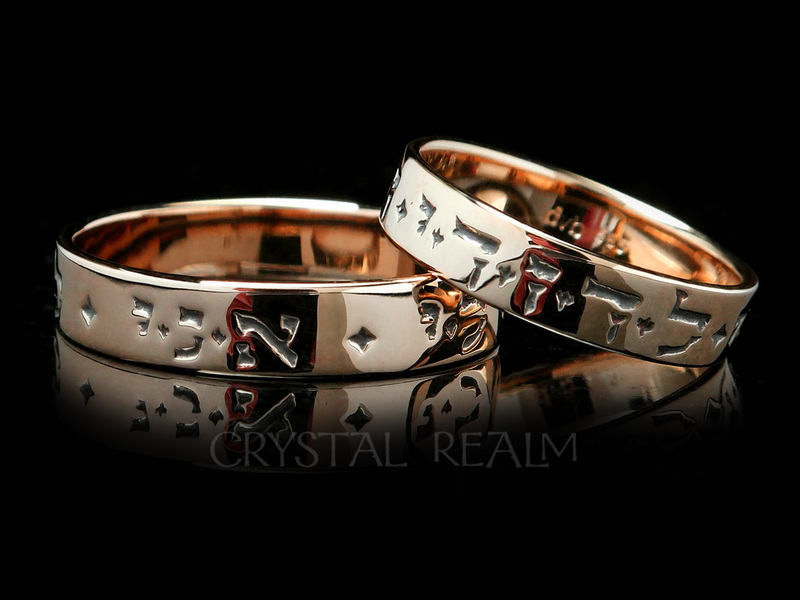 It’s a truly meaningful set that she will cherish!